On New Year’s Day, we took a trip out to Durham Cathedral. The town itself was very quiet, shops closed, and pouring with rain too. Small rivers running down the slope of the path leading up to the Cathedral where a small trickle of people we entering the huge Cathedral doors. The picture here from the Northern Echo was taken just before we started on the route…I recognise the people I walked past several times on the way into the middle! 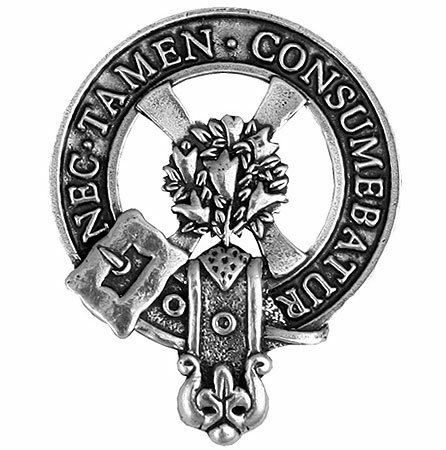 All sorts of people in there on New Years Day: cassocked priests, men, women, children, families, Celts, bards and a few witches to boot. No joke. 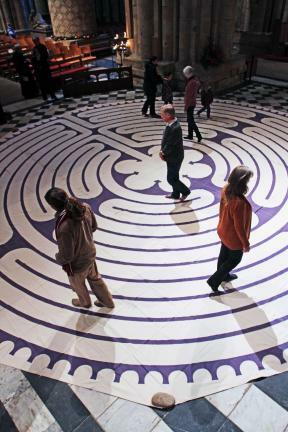 All attracted by the presence of a labyrinth maze that had been set up at the centre of the cross section of the Cathedral, based on the design found in the Chartres Cathedral in Paris. The imagery of the spiral journey to the centre, finding a still place, and then journeying out is not simple a Judeo-Christian spiritual concept, its much older than that. For me, however, there was nothing better that I could think of that I wanted to do on the first day of this year than to walk and pray the labyrinth. As I walked in towards the centred, the paths weaving in and away from the centre, clockwise and anti-clockwise, I came face to face with my own indecision, my own sense of wavering between one decision and another, between being close to God’s heart and further towards my own and seeking to bring the two together. There has been a big question hanging for several months over our heads and it was the oscillating that filled my thinking on the way in. On a curve, I’d stop and see the path ahead and the path behind, looking the dilemma in the face. Walking along the pathway, passing other ‘pilgrims’ on the way, the path on the 50 square metre cloth took a good 20 minutes to navigate. Finally, the centre space appears before you and its invitation is to rest, to hold your journey before God and to ask of him what you need for this moment, here and now, and for your return. My interest was caught on the others I was sat with, others clearly moved by their walk. I heard them reflect afterwards about the powerful metaphor of taking time to reflect on their lives and to recognise that they simply have to keep moving along their paths. People just finding some solid wisdom in a shared spiritual practice. As I started on my journey back out, I was aware of both a sense of peace and a sense of anxiety. The anxiety arose on the outskirts of the labyrinth, when I was far away from the place I’d carried peace from and it was only that as the end of the path travelled around the centre that I became aware afresh that God is with us, very much, as we arise and enter the demands of our lives. Just before exiting, the path took me close to the centre, facing inwards, and there in the middle was a little boy. His hands were clasped, his face ernest, speaking words under his breath. It stopped my in my tracks because there God was speaking to me through the simplicity of a young boy’s prayers. I remembered the little prayers I’d offer as a little boy growing up not knowing to what or to whom I was speaking. I thank God that he heard them all. After the walk, a visit to the chapel where St Cuthbert’s remains are entombed…the Celtic saint from Lindisfarne that God called from the hills to be a seeker and saver of those needing a shepherd.